The year’s Fayre promises the last minute Christmas shopper a unique opportunity to purchase locally handcrafted and sourced products, within a fusion of festive food and entertainment. 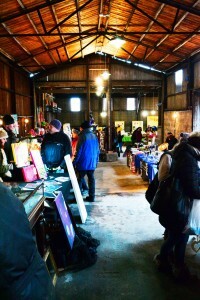 The Brunswick Yard, now a salvage and antiques centre, is in itself a unique shopping experience, home to an eclectic mix of artefacts from bygone eras. The Brunswick Yard Christmas Fayre offers something for the whole family, so come along and join the fun to find a really unique gift and get into the festive spirit.